ARIES – Those who are unmarried may meet someone today who will bring positive changes to their lives. A long trip is predicted for you. The journey would take you away from your family for some time. Businessmen planning a new venture may finally start it today. Or they may take the final steps towards this goal. Those in the real estate business will today get some help from the authorities. Officials might help them in go ahead with their land deals and building activities. Politicians may meet some very influential and important people at informal gatherings. This meeting would turn out to be extremely judicious The income will balance the expenditure today. You may even receive the money you had lent out and written off as bad debt. 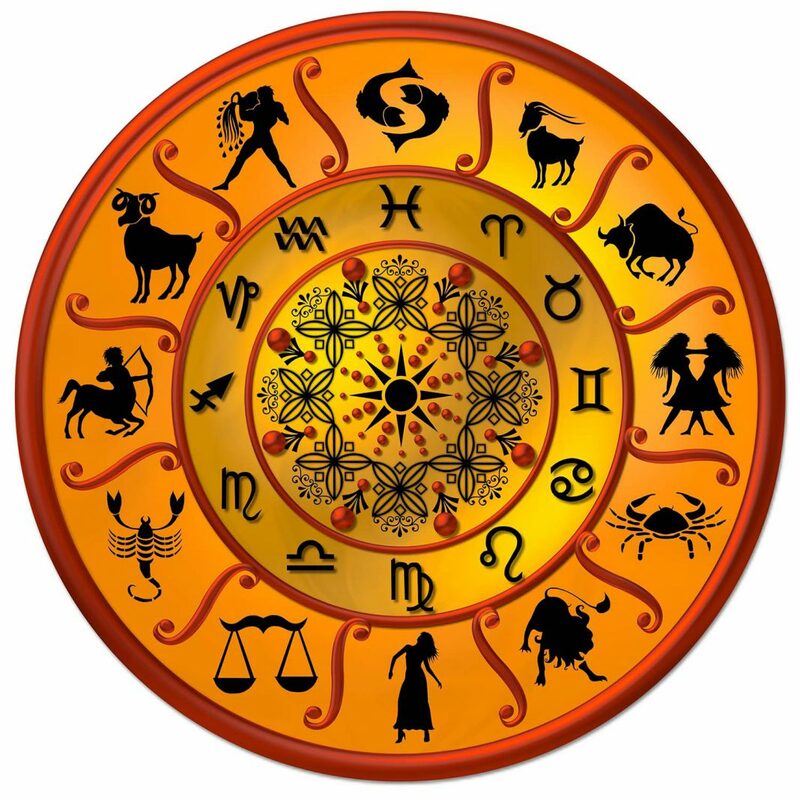 TAURUS – Those who are single will today have a very busy day at work. But they will also enjoy the evening when they go out and party into the night. Sudden illness to an elderly in the family might lead to extra expenses today with health check-ups, doctor’s visit, medicines, etc. Children staying abroad and planning a visit home may be delayed. Parents eagerly awaiting their return would be very disappointed. Teachers might have to stay on in class today for extra classes. Exams are near and they would have to complete their portions. Sportspersons who have trained hard for some time now will finally benefit from all their effort. They will set new records in their respective sport. You will find relief from pains like headache, backache or toothache. You’ve been suffering from these ailments for some time now. GEMINI – Romantic partners should not forget the promises they make each other today. Those who are single might spend a happy day with their parents and elders of the family. Children will have a great today as they enjoy the attention of the entire family. Their play and happiness would bring joy to the entire family. Those who are awaiting the results of a job interview would get a favorable result today. Senior advocates might be selected to chair respectful positions within the judiciary by officials. Artists, composers, directors and other creative people would be inspired to create something beautiful today. CANCER – Romantically involved couples might have to stay away from each other today. They might have other engagements which might force them from spending time together. Beware of any new people you might meet today if you are not a married person. All that glitters may not be gold. A romantic trip with your beloved is predicted. Today will be a very busy day for businessmen and industrialists. Apart from already scheduled meetings they may even have an unexpected business meeting with a foreign delegation. A favorable day for those in the real estate business. Agents, brokers and builders may go ahead with any new property contract. Auspicious day to sign new deals. Teachers will have a gloriously wonderful day today at work. LEO – A good day for families as a festive atmosphere takes over today and brings much joy and happiness. A long drive with a loved one will make you happy and energetic today. Businessmen and industrialists might sign on new contracts for a new venture today. Those in the real estate business, especially agents may sign new partnership deals today. This will surely be very profitable in the near future. Teachers may have a surprise awaiting them today. It might either be a promotion of a salary hike. It’s now time to push your plans and start work on them. Also need to make afresh financial beginning. VIRGO – Those who are single might today meet someone who comes from a different culture and background. They are advised not to rush in to making commitments. An unexpected business trip might disturb your schedule. But eventually the trip and the consequences would work out in your favor. Students are advised to avoid bad company. This might ruin their studies. A mentor will help politicians in building the foundations of a promising career in the political arena. Taking medicines today will help you recover fast. LIBRA – You might be under lot of obligations and out of consideration for others you might decide not to express your love for your beloved today. Those who are single must now start thinking of their own welfare. They should now take off some of the extra responsibilities that they have been carrying upon them. Children planning for higher studies would come to you for advice and support. They will make you feel proud and happy. Those in the legal profession would be advised to follow their own ideas and intuitions. They could not go wrong today. Students might get involved in dangerous activities today. They need to be very careful of what they are getting into. A field trip with students to a scenic place will cheer up teachers today. They would relax in the soothing atmosphere..
SCORPIO – Those who are married, are advised to take the advice and opinions of their loved ones on domestic matters. Children will help you relax today as you come tired from work. They will help take off some of the tension. Businessmen and industrialists will benefit immensely by signing long-term international trading contracts. Those in the legal profession would be appreciated by clients for their good negotiation skills. As they would manage to settle issues by themselves. Students will come seeking the love and care from teachers today. They will be the object of student admiration and affection. Artists will see new and good opportunities coming your way. Making the most of the opportunities would depend upon them. SAGGITARIUS – Married couples might look forward to a romantic lovely day. Children who excel in their studies and other co-curricular activities will leave a good impression on their teachers and other students. Businessmen will make major progress in their business plans. Taking careful steps would help deal with any further complications. Those in the legal profession will work towards establishing their business and career. They would take the steps towards this goal today. An empathetic nature, especially towards students will help teachers resolve the problems students come up with. Artists who are highly talented would today rise to very high positions in the society. CAPRICON – Those who are single might find someone very interesting today. But it would be advisable not to jump to any conclusions and take any sudden decisions. An ideal for the elderly to experiment with the occult and other metaphysical research. You can expect travel opportunities today. Medical professionals will feel relaxed today if they changed their routine or approach to work. Students might today fumble in doing their required projects. Those who are into technical studies may also be affected adversely. Politicians will see an increase in their supporters today as more and more people join their cadre or come out in their support. AQUARIUS – A family get-together at home will make the elders very happy today. They would love to interact with the kids and other members of the family. Engineers may today connect with people in high positions which will benefit them in the near future. Clients will today show their gratitude to share market brokers for having invested in reliable shares. They would be very happy with the returns they get from their investment. An energetic day ahead for sportsmen as they will feel up to any challenge. You will be vigorously healthy and charged up with vitality today. PISCES – Those who are single but in a relationship might feel happier, in control and ready to salvage a broken relationship with their lover. Children need to be encouraged by parents and teachers to be ready to face life full and square. A good day to seek out help from influential people in securing employment. Legal case, if any, in the court would today take a positive turn for you. A witness or a document or your lawyer will change the course of the case in your favor. Those in the artistic field need to make the most of today. They will be successful in gaining employment opportunities in their field.